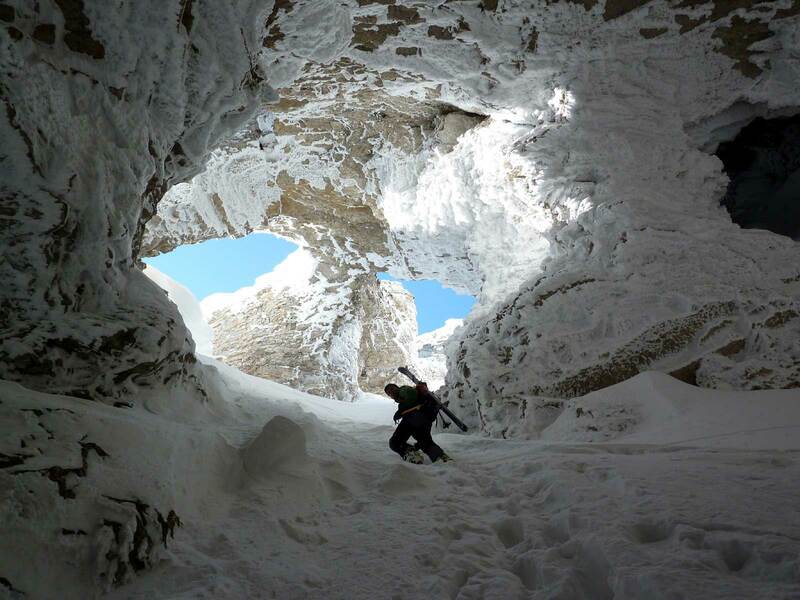 Ski Mountaineering - Exploring the Caves of Dévoluy on Skis! When I moved to the Devoluy 3 years ago, I would never have imagined myself skiing into one of the caverns of Devoluy and then climbing through it with snow up to my (slightly shaky) knees, an ice axe in hand and crampons on feet.. but that’s exactly what I did!!!! And I am still here to tell the tale!! The Dévoluy is famous for its natural limestone caves. Speleologists have counted over 550 in the Dévoluy massif alone, that's 3 for every km2. For a small region, that's a lot of caves! This high density makes the area a haven for bats. 58% of French bat species choose to live in the Dévoluy. 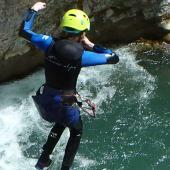 It also provides a huge playground for caving enthusiasts. 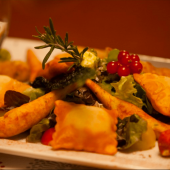 The largest cave in the area is nearly 1km deep (980m) near the Col du Festre. The locals here use the term 'chourum' for these natural caverns, which comes from local patois 'champ rond' which means ‘a round field’ which describes the often round form that these holes have. 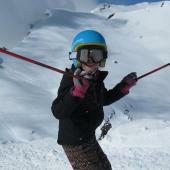 After having moved the Dévoluy nearly 3 years ago I was immediately attracted to ski touring. I love the wild landscapes and the liberty that comes with climbing a mountain with the help of nothing but your own leg power. I also love a challenge and pushing my limits. So I kitted myself out and threw myself into it. I am lucky as my boyfriend (the reason I ended up in the Devoluy) is an experienced competition ski mountaineer so I just had to follow, listen and learn!! The tour started well and we put our skins on in glorious sunshine. We were armed, as always with an avalanche transceiver, small plastic shovel and probe in case of an avalanche. We also had ski crampons which attach to your skis so that you don’t slip and slide when you cross icy parts as well as an ice axe and crampons for the Heroic crossing itself, as it's too steep for skis. Helmets to protect us from rock fall when in range of the face, some water and a few energy snacks to keep up going and we were off. We finally reach the point where it is too steep and narrow for us to continue on our skis. I gingerly take them off one by one and attach them to my bag. Now it's the turn of my crampons and ice axe. Feeling strangely reassured by being on my own two feet again, I took a deep breath and started to climb up into the cave. I became more confident and with a new sense of purposefulness I started to actually enjoy it! My love of rock climbing really came out, I was in my element. Until now, I had been climbing blindly, unaware of what was waiting for me. But with this new found confidence, I cut my rhythm, steadied myself and raised my head. Towering over me was the most amazing rock feature, it was like two giant eyes looking down on me, or looking up to the sky. They were calling me to climb through them! So that's what I did. Slowly and steadily I made my way up through the left eye and I was awarded with a beautiful, but very windy, summit view. Relieved, exhilarated, and proud, I turned back to admire what I had achieved. Seeing this immense cave from above made me realize what a unique experience it was to climb it. But I didn't hang around for long...that was the easy bit done, now for the hard bit - the descent! The descent is over much more quickly than the up and sometimes you can be blessed with beautiful fresh powder but other times it is hard and crusty and pretty impossible to ski!! Today it was in between with soft snow, not too heavy and easy to turn in with a just a few lumpy patches to negotiate! It was an easy, fun descent and every turn was a pleasure. What a great end to the day! The ski-mountaineering race la Grande Trace which takes place at the end of February, passes through this 'chourum' as part of the race. Hundreds of participants take part in this leg of the Coupe de France and they literally run up! It has to be seen to be believed. They make it look like a walk in the park. I’ve still got a long way to go! 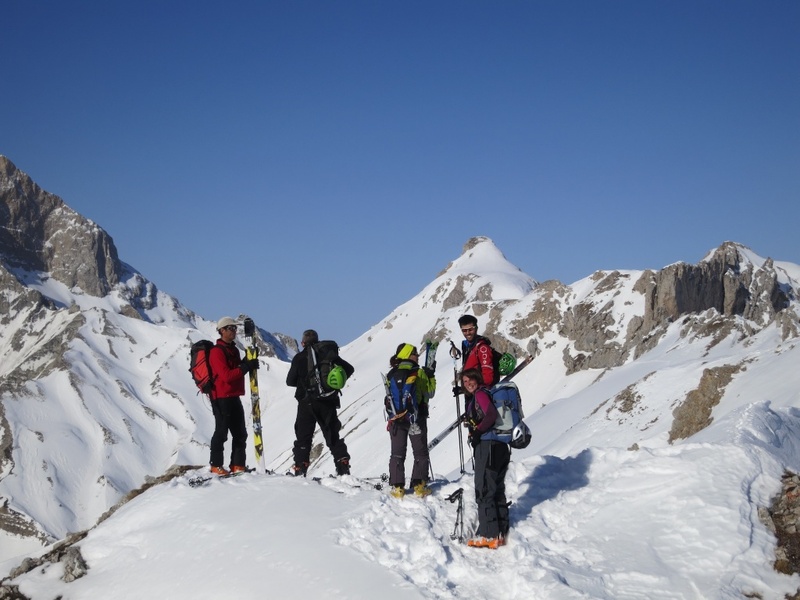 How do I start Ski Touring? For your first time ski touring, you should start with day tours on easy terrain, so you can learn essential techniques, such as skinning-up, kick turns and mastering different snow conditions. Learning about mountain safety should go hand-in-hand with this, and it is worth investing the time and money to go with a guide (or on an organised course or ski tour) to learn properly. 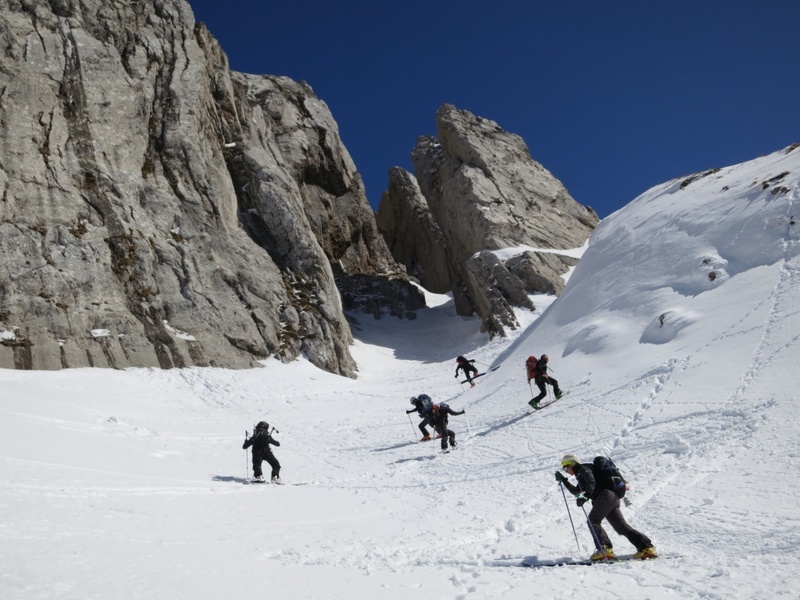 Undiscovered Mountains Ski touring in the Queyras is a good example of an introductory course with avalanche safety, off-piste skiing technique, day tours and an overnight tour. 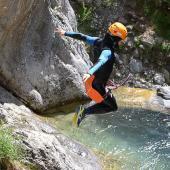 It is led by an experienced UIAGM high mountain guide in the Southern Alps – a perfect destination, with a wide variety of day and overnight tours for all levels. 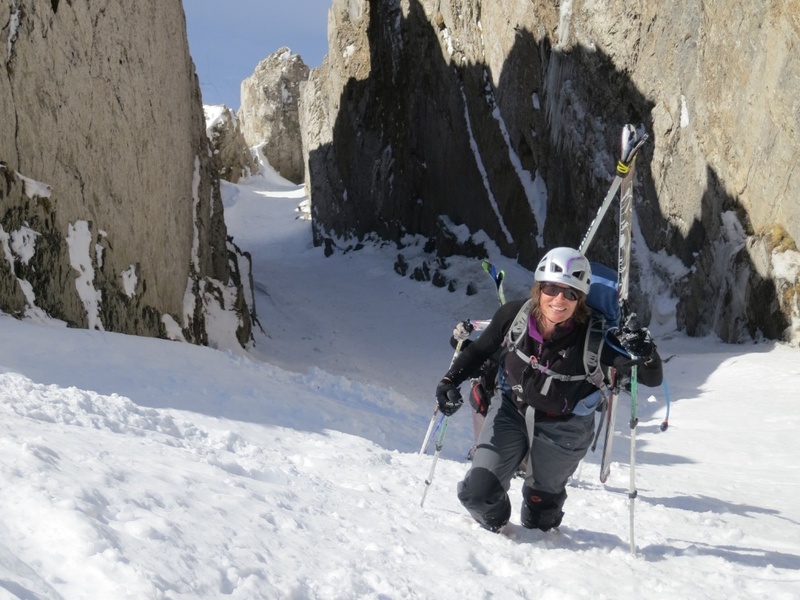 If you are an experienced ski tourer or mountaineer and would like to try your hand at a cave or two in the Dévoluy, then ask me, Lauren or Sally at Undiscovered Mountains. 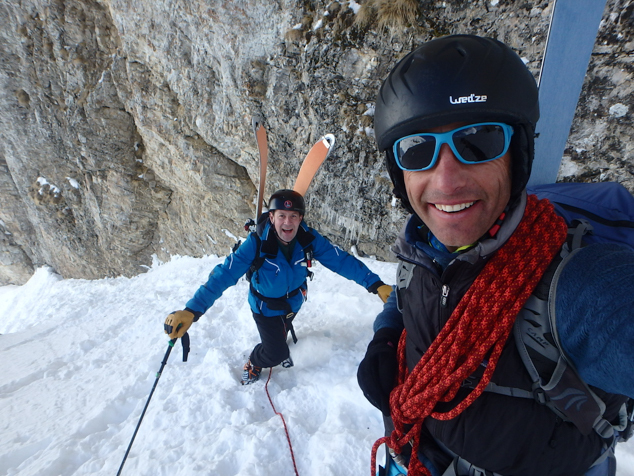 We can put a trip together for you with an experienced local UIAGM high mountain guide! Please do not attempt to ski tour in the Devoluy on your own. When covered with a layer of snow the caves become invisible and dangerous. There are many stories of people (and dogs) falling into the caves and having to be rescued by a local caver. That's why you should always go with someone who knows the area, even if you are an experienced skier.